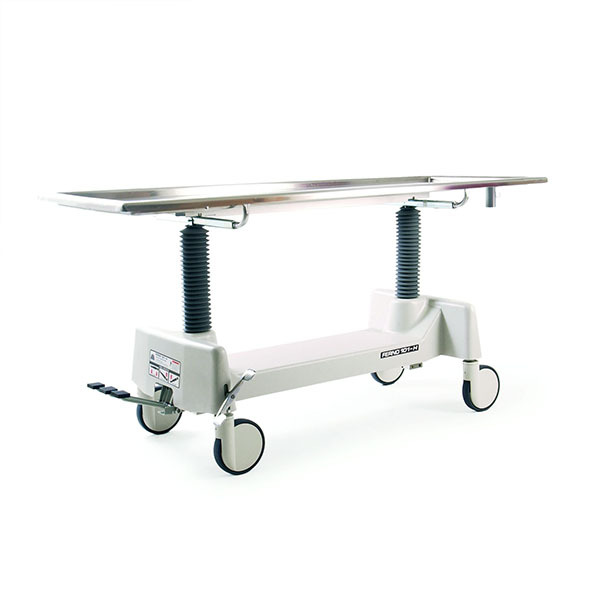 The power of hydraulics is yours with the Ferno Model 101-H Hydraulic Operating Table. Tilting and height adjustments are accomplished with a hydraulic foot pedal. 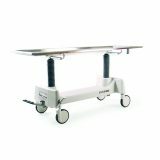 The Model 101-H gives quick adjustments and individual settings, with the option of lowering or raising either end 28.5″ to 40.5″ above the floor for easy preparation from a standing or sitting position. 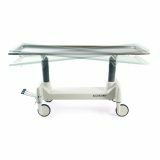 However, the hydraulic power is not the only outstanding feature of this operating table. 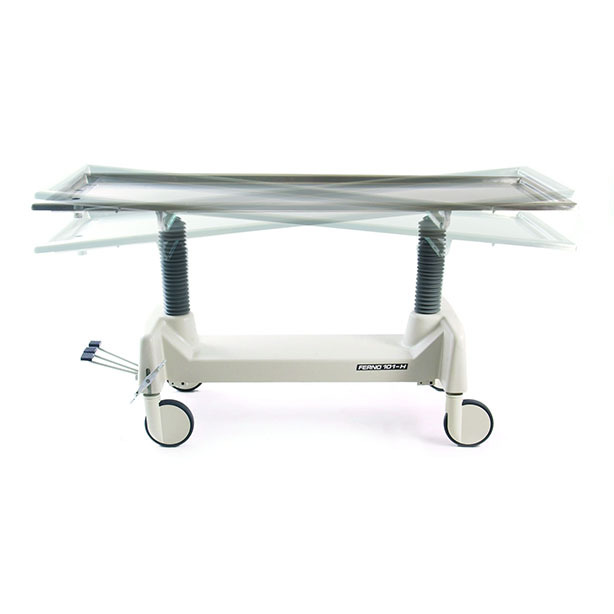 The table top is in a convex shape to drain fluids away from the body. 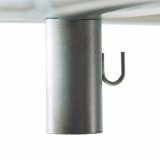 An extra-deep trough runs the perimeter of the table, eliminating the need for splash guards. 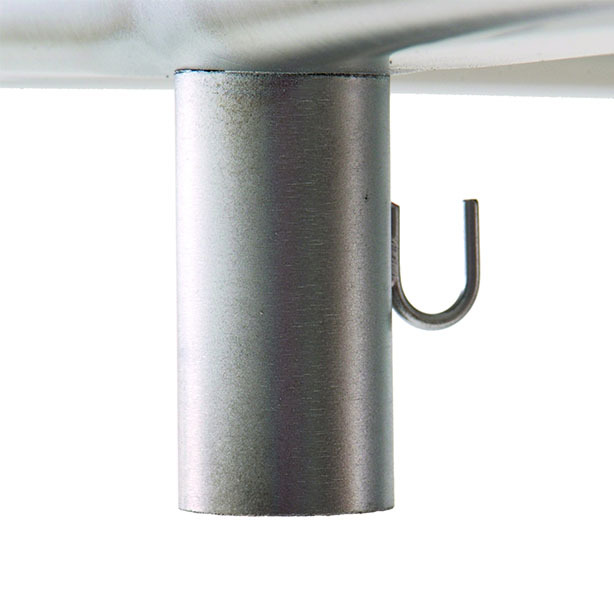 The drain, located in the center of the foot end, quickly eliminates fluids from the table. 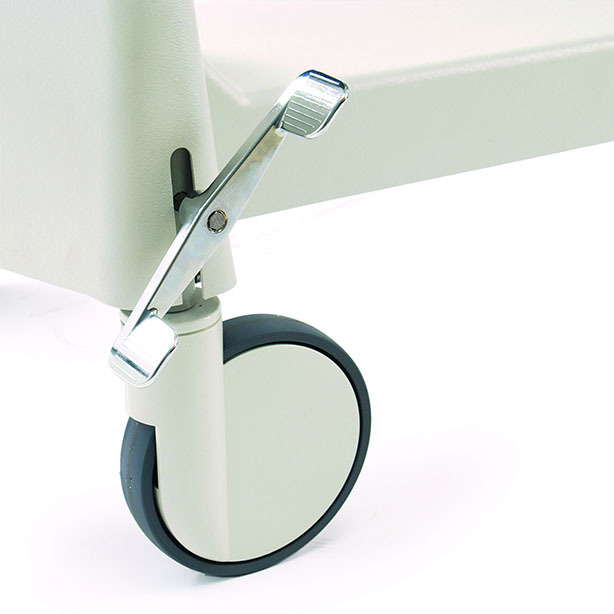 All four 8″ swivel wheels lock instantly with a single foot pedal. 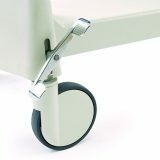 Type 304 stainless steel with a #3 finish ensures easy maintenance. Solid surface base eliminates crevices where liquids can coagulate.